Karan Johar and Shah Rukh Khan’s bond is something every Bollywood fan is aware of. The duo is known to be one of the super-hit combo of Bollywood and their off screen friendship is also well-known. But do you really think Karan Johar would seriously LIKE something which is said against SRK? 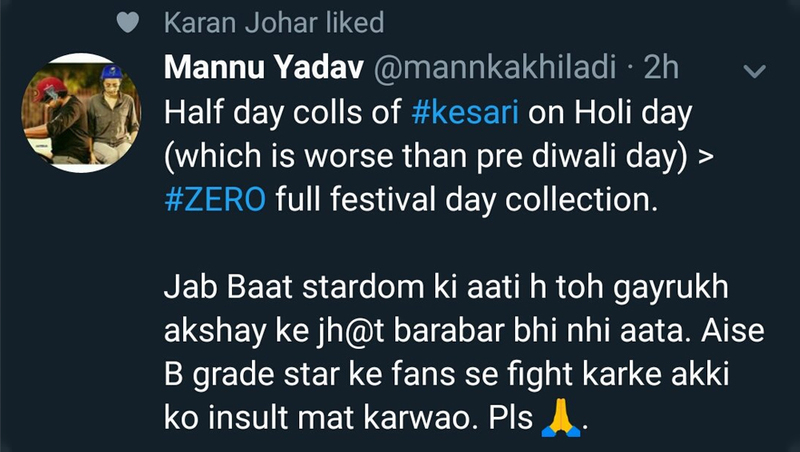 Twitterati have turned furious ever since KJo liked an offensive post on SRK. From then #ShameOnKaranJohar has been trending on top. Karan Johar Blames ‘Technical Problem’ After Accidentally Liking Insulting Tweet About Shah Rukh Khan. Social media plays a strong role in a celeb and commoners life. It is one of the strongest medium to reach the audience but one mistake, and celebs can get bashed heavily by the fans. A netizen shared an offensive post on Bollywood’s Baadshah (Shah Rukh Khan) and that is something the fans wouldn’t tolerate. The same post has a supportive and appreciating message for Akshay Kumar. This particular post has been liked by Karan Johar, and we are sure, it must have happened by mistake. The screenshot of the same has been taken and floated across social media platforms. 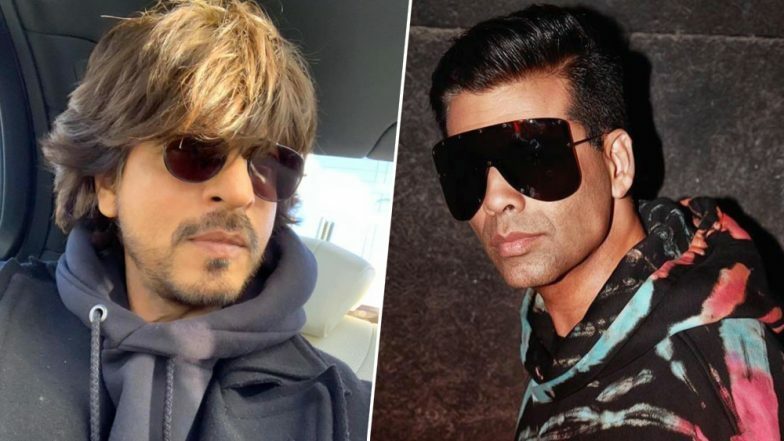 Shah Rukh Khan Defends Karan Johan After #ShameOnKaranJohar Saga; ‘Make Love Not War’, Says KJo’s Bestie. Yes, fans who are super upset with Karan Johar are actually saying one should stop watching the films produced under the banners of Dharma Productions. In fact, the netizens are even saying, people shouldn’t watch Kalank. This particular post is going viral for all the wrong reasons.